The demand for higher education needs no increasing, but there needs to be more workforce relevance in the programming institutions are delivering. Photo by John Goode. Sometimes we have the feeling that we do not know enough about a topic, or maybe we have had a particularly hectic day at work. Occasionally the resolution of problems goes beyond the usual routine and there is a slight sensation that we are not doing enough to be getting our salary. 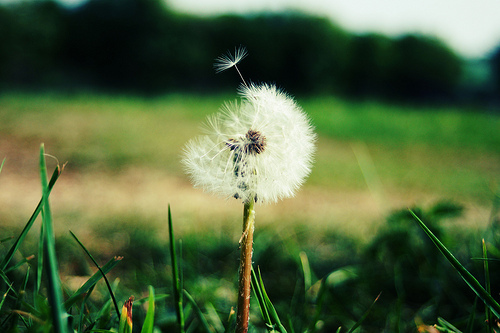 This sensation is comparable only to a student who is ready to graduate. Students have plans for a bright future, they think that by just belonging to an upper-level institution, the world opens at their feet and their skills will be requested by multiple companies; that they will choose their salary, their office and even their work team. But months later, with mounting debts and while living on just few pennies, new graduates surely begin to wonder: what did I not learn as a student? It seems that there are two worlds, the academic world, where a group of experts in matters of education have learned that some skills are important for a student who eventually will be found in the business world, which is focused on finding or creating jobs, maintaining them, making money, taking care of families and giving prosperity to communities and countries. There are some people that are between both environments, i.e., both deliver a class and build a business, but usually, those few persons are experts in only one of the worlds. Those who are in the middle of what each one of the worlds thinks is necessary are students; minds with bright futures eager to learn. What are we teaching them? I always told my students that the most important thing was the use and handling of information, solving problems, and metacognitive skills. This complex progression of skills takes time, and they did suffer one or two another questions that didn’t let them sleep. The goal was to prepare them for the cognitive flexibility. Unfortunately, there is not a subject called problem-solving, because subjects in Higher Education have names of knowledges, rather than skills. Skills are the objectives of programs; I really want to say it clearly: programs are designed with a group of skills as goal. Students are not important, but the concepts of the programs that are designed to get some goals, but at the end those who desperately seek ways to feed their families are students, not programs or teachers who give them class. This group of skills can be shared by our two worlds, but in a different level, to different goals. Time management abilities can be a challenge for students with 5 or 7 professors asking tasks at the same time. The main difference will be a professor always saying exactly how and when they want things. There is no opportunity to a high level of solving problems. As it is possible to see on this list that arises from various articles, not all skills tie. 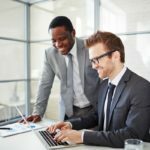 Common sense and sense of humor not appear in academic attitudes when in business discussions currently deemed overriding handling of prosody for regular speeches and behavior based on the attitudes of the other person and there are studies about management and benefit of the smile during business meetings. Students will have a possible disadvantage if they don’t read, or learn correctly how to relate with a professor, which will always have the ability to not accept the attitudes of the student. If there is no empathy between them both, students can take their class in another classroom—or might academically fail the class—but there won’t be anything beyond. At the corporate level, not only do people lose a job, it is possible to affect many more employees by an error in social relations. In regards to the academic skills, let me highlight something else, although the teamwork concept appears in various articles, even when students usually work in groups—scores are personal—that is why leadership is the ability to analyze. Although it is worth mentioning in this context that the only leadership depends on the goals set by the professor and by matter, so at the end, student shows that meets the requirements of matter, not necessarily with the most outstanding skills development. 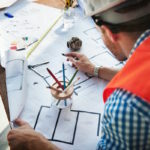 What the student knows, in the field of academic knowledge, will directly be always connected with the type of assessment to be carried out. If a test is only about memory or requires responses of true or false; there will be no to the use and management of information. Even though it is procedural—as in the case of medical areas—only to evaluate a limited amount of knowledge in controlled situations. In the real world there is no opportunity to decide if it is true or false, there will be problems on a daily basis. Provided that someone asks me if I think that education requires economic resources, I answer, certainly not. Higher education doesn’t need more resources or political speeches. Clearly companies require employees and students want the opportunity that has cost them many sleepless hours and huge amounts of work. Not to mention money. The answer is not a matter of educational policy. The answer lies in the academic world understanding that it is very far from reality and the business world understands must go to the schools and talk about what they do. Invest in schools are a hotbed of talent. There are many examples of mistakes in educative models—as the example of Mexico and Spain showed. They based all learning far beyond conceptual knowledge, and I can say that it is a good proposal, but it crashed against the wall when academy forgot to focus competencies in students and not on the contents. It is not difficult to try communication between the talent and talent-hunters; that happens every day with sports, why can it not begin in a different level? We wouldn’t lose the horizon. 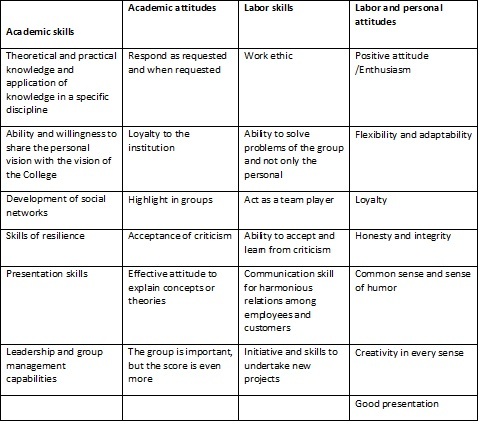 Blaxell, r., Moore, C. (2012) and Connecting academic and employability skills and attributes. Teaching and Learning Forum. Available at: http://www.roger-atkinson.id.au/tlf2012/refereed/blaxell.pdf . 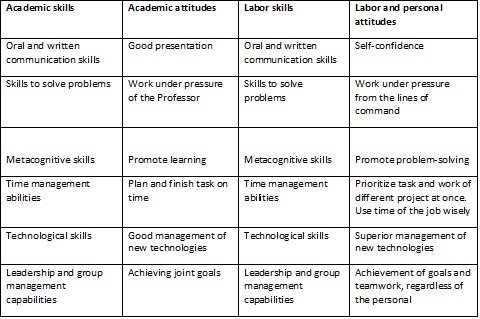 Holtzman, DM., and Kraft, Ms. (2011) Skills needed in the 21st century workplace: A comparison of feedback from undergraduate business alumni and employers with a national study. Business Education & Administration. 3 (1) 61-76. Nickson, D., Warhust C., Commander, j., Hurrel, SA., Cullen, AM. (2012) Soft skills and employability: Evidence from UK retail. Economic and industrial Democracy. 33 (1) 65-84.